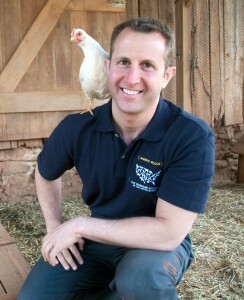 In this third podcast of a four-part series devoted to Twin Cities Veg Fest 2014, Compassionate Action for Animals’ Executive Director Unny Nambudiripad interviews visiting speaker Paul Shapiro, Vice President of Farm Animal Protection for the Humane Society of the United States. In addition to offering a preview of his talk for the festival, Paul reveals why he thinks the animal protection movement is winning, what led him to going vegan, and what was the most influential presentation on the subject of farm animal protection that he ever heard. Twin Cities Veg Fest 2014 will be held at Coffman Memorial Union at the University of Minnesota on Sunday, September 28th, 2014. The festival is free to attend and, in addition to presentations from visiting speakers, includes delicious food samples, a variety of exhibitors, and cooking demos. Join us and celebrate compassion!